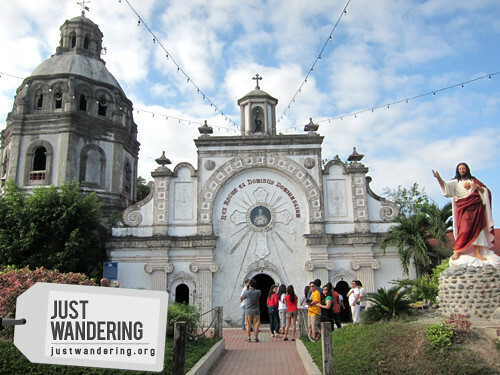 San Guillermo Parish Church of Bacolor is known as the church that was half-buried in lahar after Mt. Pinatubo’s eruption. 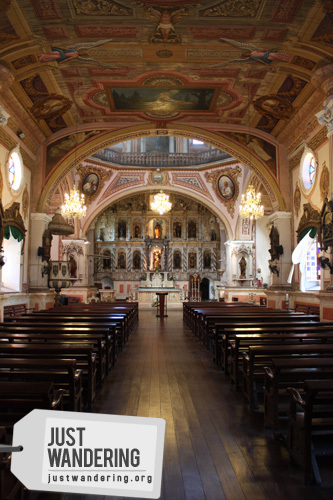 The church is one of the oldest churches in the Philippines and features baroque architecture. 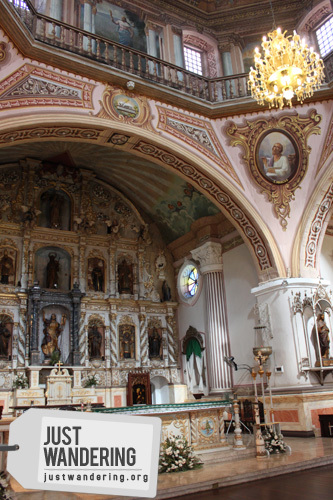 After the eruption, the people of Bacolor carefully excavated the altar and retablo (that ornate thingie behind the altar), restored the church back to its former glory, even if it’s 6 meters shorter. Betis Church in Guagua, Pampanga is unimpressive from the outside. If you grew up surrounded by churches, you probably won’t be impressed upon laying eyes on its exterior. However, the true beauty of the Betis Church lays within. As soon as I stepped inside the church, I realize why they call this the Sistine Chapel of the Philippines. Finely detailed paintings adorn every inch of the ceiling. We walked slowly down the aisle, eyes wide in wonder as scenes from the Bible greet us from each gilded frame. 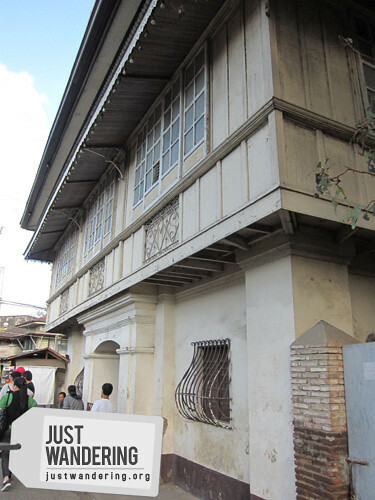 Continuing with the heritage theme of the day’s itinerary, we had lunch at Atching Lilliane Borromeo’s house. A food historian, Atching Lilliane is a part of history: she hails from a family who has been making San Nicholas cookies for generations. She even has 400-year old molds to prove it. Before heading back to Manila, we had to make one last province hop: Bulacan. Our first destination in Bulacan was San Miguel, a municipality without any shortage of heritage buildings. We went inside the St. Michael the Archangel Parish Church and crossed over to the town hall, a heritage treasure itself to meet with the town’s tourism officials. We piled back into the bus for a rolling tour through San Miguel’s equivalent to Vigan’s Calle Crisologo. Heritage buffs went crazy with their cameras as we passed houses showcasing the fine craftsmanship of the locals. UIvan taking a picture of Ivan at the entrance of the.. batcave. 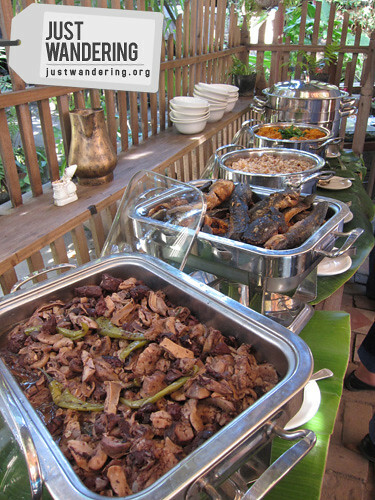 There was one last taste of adventure before we end the first leg of Lakbay Norte 2. Biak-na-bato National Park is both an ecological and historical site. The hideout of the revolutionary forces during the Spanish period is now a place where people can get their own adventure (though probably not as exciting as Gen. Emilio Aguinaldo’s adventures in the area). Visitors can hike and explore caves that are now inhabited by bats, not Katipuneros. Pinasok nyo pa ba mga caves sa Biak na Bato, yung malapit sa tulay sa dulo nung park? This site is great, keep up the good work. we went to Apalit Pampanga last month and Apalit church really surprised me. I have always thought Pampanga is a young province and therefore never expected to see old and historic churches—-very beautiful at that. These churches ads to the list. ang ganda ng mga church Nina, d ko alam yan. sana makarating din ako jan. I never really wandered in Bulacan and Pampanga even if my paternal grandparents are from those provinces. Now, your blog post is like an invitation. It’s so near, yet we don’t get to explore it as much! that betis church looks extravagant! It is! And it looks so unassuming outside!